Our real manmade climate crisis | Watts Up With That? Even the IPCC and British Meteorological Office now recognize that average global temperatures haven’t budged in almost 17 years. Little evidence suggests that sea level rise, storms, droughts, polar ice and temperatures or other weather and climate events and trends display any statistically significant difference from what Earth and mankind have experienced over the last 100-plus years. March 8, 2013 in Climate News, Opinion. I will say again: If people want to be full of superstition regarding weather and climate, so much so that they essentially take leave of their senses, that has real consequences on grown-ups around the world. However, among the ways that this holiday from reality does the very most damage is the effect that it has on children! No one exemplifies the AGW comfort level with terrorizing the very young than James Hansen with his unconscionable Storms of My Grandchildren. Of the funds poured into the environmentalist and activist movements, does anyone know whether Bill McKibben received any, whether directly or via any organisation such as 350.org? This is a great rebuttal to so called “denier” dirty Oil funding. Just think what good that money could have been used for instead of being wasted as it has been. The political class seem to have no qualms at all about ripping up the sacred trust not to burden our children and grandchildren with a monstrous debt that exists beyond any shadow of a doubt. Why then do they get all dewy-eyed about taking care not to “burden” them with scarely discernable changes in the weather which in any case seem not to be developing? I guess you can’t fail when you try to fix a problem that doesn’t exist so there’s no harm is making a fuss about what a hero you are for all the steps you’re taking. You can’t lose. These Gestapo style tactics must be highlighted. The worst catastrophy imposed on the environment is the environmentalist Nazis. My post was refused presumably because I used the ”N” word. Call them what they are and expose their hypocrisy. Mr Kerry hasn’t gone down too well here in England after his visit. Not only did he fail to take the opportunity to chastise Argentina over its Falklands stance, but failed to show any support at all for the islanders right to vote! He is, what would unpolitely be called here, a pratt. Warmistas (defined as: “the warmist cult”, or “the religion of warmism”). May their efforts prove futile and their crimes be heaped on their heads! This is one of the best opinion pieces you have ever written. The out of control NGO industry and hiding incompetence and malfeasance behind climate excuses are damaging us all. You have summed it up- with documentation- very well. Thet/we didn’t listen then, why now? I’m glad that nothing about this post is in any way alarmist. Excellent! Not that those who should be reading this and taking it to heart will actually do so. But at least it’s here and we can link to this article for anyone who starts spouting the alarmist line. Modern environmentalism. . . All the democracy you can buy. The man is a muppet, knows not a lot, just learns his script. I see a boat heading up a **** creek to the sound of the Doors’ ‘The End’. Love the article. Fighting a changing climate that naturally changes unpredictably is “our most sacred trust”? Fighting demagogues would be more like it. During a former precognitive (literally: before curious human observation/investigation), pre-science era? One wonders what ‘age’ this elder statesman lives, thinks. Well…its all coming together with leadership that has no boundary. Combined with the power given to use a plethora of agencies to regulate and fee monger. A health tax that is going to strip the economy. Pile on the guilt trip that mankind causes climate disasters with global tax schemes as a stand off remedy. More storms, need more taxes to assure mediation. All promoted by a media that is in step with any and all the b.s. from our beloved whited house imperialist. The camps are ready for those who need mental help to realign their anti agenda attitudes. Especially climate skeptics. Maybe there is a slight chance of some awakening. But…Not going to rely on it. Since we elect the politicians the fault is our own. We get the policies we deserve. The REAL manmade climate crisis: politicized science and corruption. greg, it saddens me that you don’t wish to accept verifiable realities. John Kerry met his wife at an environmental event when she was the wife of the now deceased Sen. John Heinz – so SofS Kerry is not new to the views expressed at the top of the post. @ lurker – Anthony did not write this – go back to the beginning. Washington State’s new Gov. – Jay Inslee, is also clueless about science. Just more proof that this issue is not about science. With Hansen as Colonel Kurtz? Anthony didn’t write this. It’s a guest post. Well worth reading. Hits the nail right on the head. I couldn’t agree more and I think one of his first acts should be to bicycle over to Egypt and tell Morsi to install solar panels on those Abrams tanks and F16 fighters we so responsibly sold to them. While he’s at it, he could advise them to use ecologically responsible explosives when they blow up the pyramids and sphinx (you know, no bad influences on people’s minds or the environment). Then Sec of State Kerry could make a little detour over to Iran and have a pleasant face-to-face chit chat with Ayatollah Khameini. Perhaps Kerry could explain to him that he need not fear any damage to Iran’s Fordo nuclear facility so long as they produce ‘green’ nuclear weapons: After all, the U.S. is opposed to mountain top removal schemes. One place our hardy diplomat should avoid when he bicycles and sailboats (the sail boat part is actually probably a bit true) back home is Benghazi. He’ll want to avoid that at all costs. Ilma-350 is affiliated with the New Economics Institute that used to be known as the Schumacher Society. NEI and the Global Transitions 2012 agenda that carried over after the new year gets Ford Foundation funding. A lot of the research I have done into the real definitions of Global Citizenship and systems thinking and a new type of capitalism that is in no way, shape or form about free markets or consumer choice always seems to track back to a prof with a Ford endowed professorship at some well-known institution. In fact if I had the time I might cross reference who has those endowed professorships with what they are really pushing. Also the Aspen Institute pushes a lot of these ideas but it in turn gets funded by the big foundations. But it sounds better to say something is supported by the Aspen Institute rather than the Annie B Casey or Hewlett Foundation. To borrow against their future so that some can life high on the hog today. To leave our children and grandchildren a lifetime of debt from which they will never escape. To sell them into slavery, with the deed held by the banks. The plantation owners of old dressed in banker’s clothing. In 1865 Lincoln freed the slaves. 150 years later the entire nation had been sold into slavery – only they didn’t yet know it. Having kept interest rates low, the chains were applied without anyone noticing. 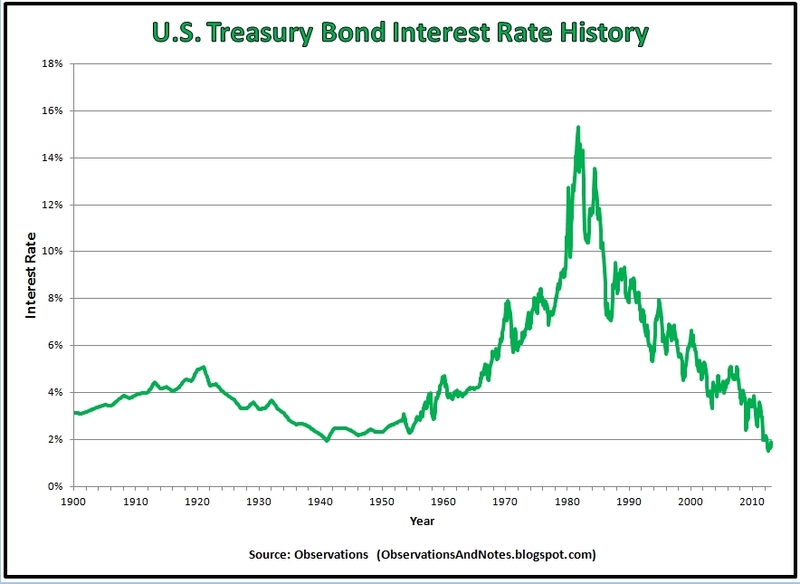 Only as interest rates began to rise did the chains begin to bite. Sometimes alarmism is necessary. Paul Revere comes to mind. The point of the essay is that contrived and exaggerated alarmism in this case is exploitative and destructive. I think you might have missed that. 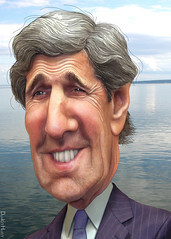 Kerry is a self-absorbed idiot. It’s why he got the job. Or else he’s in cahoots with the Goreacle, lookin’ for a big payday. Paul Driessen is close to a fact, discovered in psychological experiments decades ago. Seeing is not believing but believing is seeing. A friend of mine often goes to Indonesia. For years he said that the climate there was disrupted. When I asked him how, I never got an answer, but something was wrong. You could see it. More recently he stopped with these messages. Perhaps Lewandowsky could have a look at the work of his former colleagues when he is ready with his conspiracy theories. I first met Kerry in Viet Nam. A very clever self promoter with little real intelligence. He has always had his eye on the main prize…..leadership of this country. Pray that he does not acheive his dfream.. Nowhere on the ballot does it say “none of the above”. Instead we have a choice between a crook or an incompetent. The tens of millions it costs to run a political campaign to win a job that pays a hundred thousand effectively prevents the honest citizen from entering politics. Every ballot should have “none of the above” as the last item on the ballot. If “none of the above” wins, then everyone else on the ballot should be barred from holding public office for a period of 10 years. This would very quickly clean up the political system. Electoral reform starts with giving the people voting a real choice. “None of the above” would do this. If all candidates are bad, then you should be free to reject all of them. Had “None of the Above” been a choice of the last presidential election, who would have won? Yes, it is man-made, and yes, it is a real crisis! That statement might be true if democracy were working properly. It isn’t. The folks you voted for aren’t working for your benefit. They are working for the benefit of those who paid for their campaigns. Any other course of action would guarantee that they would not be re-elected and no politician will risk that. This may be a cheap shot, but it’s not often a caricature is better looking than the real thing. Maybe a bit off-topic but the UK “Daily Mail” chart of the MET office “peaked” my curiosity. Has anyone done a regression on the peaks of the anomalies to see if they favor a season? I would presume that steady warming should produce peaks of “above normal” temperatures randomly without regard to a season. For example, if the average temperature increased a 0.5 degree globally, their will be random peaks above that (independant of season) and below that. But if the peaks favor a season (i.e. a statistically significant number of peaks are in Northern Hemisphere summers), that would seem to indicate a signal beyond “Global Warming” and could be things like Land vs. Sea temperature stations, Urban Heat Island effect, temp station weighting, etc. Has anyone ever seen such a regression. A seasonal or X day average warming binning by year regressed against other years shouldn’t have any correlation. The situation that is described by Mr. Driessen is a product of the deceptive argument called the “equivocation fallacy.” To draw a conclusion from an argument in which a term changes meanings in the middle of this argument is the equivocation fallacy. By logical rule, to draw such a conclusion is improper. Major premise:	A plane is a carpenter’s tool. Minor premise:	A Boeing 737 is a plane. Conclusion: A Boeing 737 is a carpenter’s tool. Climatologists use the equivocation fallacy in making arguments about the methodologies of their studies. A consequence is for people like Secretary of State Kerry to be duped into concluding that the methodology of science is being employed in climatological studies when this conclusion is not true. Scientists and skeptics are among the many who are duped by the same deceptive argument. I noticed that Paul Driessen’s wiki page describes him as a “Lobbyist.” Wonder if that is a Connolley construct. As the US dollar disappears into Zimbabwe equivalencies, more people will pay attention,for abstract policies, that sound odd but do not seem to effect me, are ignored until they hurt. Good post, nice commentary, I’m with Rocky Road on this, Genocide for sure. Poverty is a vicious wake up call. The longer the one world bureaucracy, anti-humanist eco-phonies, believe they are winning the more we get to see their true nature. Their religion(the cause) runs contrary to human nature, history and physical nature. But faith will overcome and the end justifies the means? Seems like after all that money spent on promoting the cause, protecting the message and persecuting inquirers, communicating the cause, is still failing. The most recent posts here on WUWT indicate the promoters of the “Cause” are doubling down on their message, displaying an obsession with the message, a contempt for the intelligence of the public and a desperation that indicates they know they are failing but do no comprehend why. The best expression of that was a statement, last year, complaining about sceptics obsession with discussing the science, as if that was idiotic behaviour. I may be wrong, but I love the smell of desperation inherent in these hysterical proclamations from the media, academia and selected politicians. When caught on a series of lies, restore credibility by lying louder, faster, more repetitiously? The “Cause” was cloaked in a thin veneer of science, due to their contempt for the taxpayer, the team “knew” that no one would check or could check,i.e. ; we lost the data? Now that pretence of science has come back to bite the faith, nature cycles on and human nature says payback will happen. I can understand the desperation of the faithful, a policy of abuse, personal attack and deceit could leave one suffering from projection terrors. Given the behaviour they have displayed, one can only imagine the savagery they fear. I wonder if the UN has computer models, projecting the reaction of the taxpayers to their revealed mendacity ? Given that the climate has stopped changing, the only other measurement that the Great Hoax now depends on, is the series of CO2 readings from the Mauna Loa volcano. As I understand it, there is one instrument used for producing the reference gas, and another one on the top of the volcano. As the world’s economy is directly affected by the readings of these two instruments, plus the post-processing of the data, it would seem obvious that there has been a really critical study of the the design and performance of these instruments and their place in the whole process of CO2 measurement and reporting. Can anybody point to such a report? Hate to say it but I wouldn’t be quite so certain about that. Remember, Obama got his start in Chicago. He was lured here by the ‘fixer’ Tony Rezko who arranged for Obama’s purchase of a home in Chicago’s Hyde Park neighborhood. Rezko’s now in prison. In his formative years in Chicago, Obama was taken under the wing of Alice Palmer; Illinois State Senator in the capital in Springfield. Her district was the poor south side ghetto and, I believe, Hyde Park. Mel Reynolds was the U.S. Washington congressional rep for that district. He had to vacate his seat ’cause he went to prison. Alice Palmer maneuvered to run for Reynolds’ seat but was deterred when Jesse Jackson Jr. announced his candidacy. Palmer couldn’t compete with the Jackson name or war chest so she went to return to her state senate seat (Jackson now appears headed for prison). Barack Obama barred his former mentor from returning to her seat by allegations of voter fraud on Palmer’s part (the Chicago way) so her slithered into her senate seat un opposed. A few years later Illinois’s governor, Rod Blagoyevich would go to prison for attempting to sell Obama’s seat when he vacated it for the presidency. Got any ideas about Illinois politics? I don’t think these are the voter’s choices. I don’t have the numbers in front of me anymore so I’m relying on my ageing memory but I believe 59 precincts in Philadelphia delivered around 16,000 votes to Obama and not one…not one…to Romney. That’s a physical impossibility. That’s fraud. In Chicago, I believe 37 precincts delivered about 13,000 votes to Obama and not one…not one…to Romney. A friend of mine who works for a bordering village of Chicago told me he had a co-worker tell him he voted 3 times for Obama. Now let’s talk about what’s been emerging from Ohio: double votes, triple, gosh, even sextuple votes. Do you really think the voters have spoken? We only elect our politicians from the select few that are pre-selected to be allowed to run for office. The average American has no control whatsoever over who becomes President, and no control whatsoever over who is appointed to the Cabinet. If anything, you can blame the people for allowing the politicians to shred the Constitution, but you cannot completely blame them for who gets elected. When you are continually given a choice of two idiots, one of the two idiots is bound to be elected, unless no one votes for either of them, which is what I would prefer to happen, but you aren’t ever going to see it ACTUALLY happen. On a national level, the politicians who run for office are selected by their own parties, not by the people. In countries other than the USA, it is even worse than this. Blaming the people may be convenient for you, but it ultimately doesn’t assess, address, or help to SOLVE the actual problem. I hereby commit to use no more electricity than John Kerry and his wife use in their five or so mansions, no more fuel than he and his wife use in their private jet and yacht. This is something frequently missed by alarmists. One could be totally convinced by the ‘science’ and yet ‘resistant’ because you don’t see ‘green’ as the only solution. How did acceptance of the radiative properties of CO2 morph into unconditional acceptance of every whacked out scheme of ‘Big Green’? Or indeed acceptance of the schemes of every SIF on the Planet? While I respect your opinion where Science is concerned – you could be stepping out on a limb with that one Leif. Then again there are a great many sites to which we might move the argument. Not here at WUWT though eh? A great point. I have often wondered about the predictable sinusoidal rise of the CO2. Years ago, about 1978 to be exact, I was doing CO2 measurements with an old “sniffer” device. I was testing boiler flue gases. Even though the fuel flow was constant, I had a hard time getting consistent CO2 readings. Maybe I did not have the “latest and greatest” equipment, but the rising CO2 graphs seem a little too perfectly repeatable to me. Just look at the inaccuracies that been found with temp data…. But must point out that they are not hallmarks of dramatically changing climate . . . . unless he is saying “dramatically changing climate” was is and probably always will be the norm. How fast changes have come has always been a contention within science. Just like plate techtonics, which affect climate more than anthing I know of in the long term. . . . And as we have seen in geological time they can be very slow or very “dramatic”! Like the speech, but can it be delivered . . . . I do not see what the problem is Committee For A Constructive Tomorrow? The point of the post is the PURPOSE behind the alarmism. On the one hand you have Mr. Driessen arguing, in an alarming way, about the use of climate alarmism to cause real harm to societies. On the other hand, Mr. Driessen’s alarmism doesn’t have any motive other than to warn against that harm, i.e. his in not proposing taxes, prices hikes, new forms of governments, etc. The difference seems clear to me. Fred Berple: Emancipation proclamation was in 1862, not 1865. Big difference. Doug Huffman; thanks very much for Crichton’s address. He’s the perfect guy to write that excellent piece. I think Kerry is the same as Romney. In love with the dollar and so self-justified in their upper-crust existence. Leif is under the delusion that there are free elections here. I’d like to give him a course in history to wake him up. That this money has caused widespread pernicious and corrupting effects should surprise no one. It certainly doesn’t surprise me. Money corrupts. Al Gore made a documentary telling the world about a planetary emergency caused by c02, He then takes oil money from Qatari oil backed Al Jazeera and buys 2 large homes is not a surprise. It’s always been about the money, scientific status and the green agenda. An unholy alliance of bankers, big oil, greens, journalists and politicians. Never in World history have so few been up against the might (and money) of so many and yet the many are failing so miserably. The problem with the last sentence is that it should add the environmental green movement. Future generations will be sickened by the display of bare faced greed and lies. News just in via nofrakkingconsensus, the IPCC is looking for ‘Expert Reviewers’. Greenpeace activists anyone? WWF activists anyone? The system is political and it has been gamed from the start. Expect more howlers like glaciergate. By far the worst climate crisis, however, is eco-imperialism perpetrated against African and other poor nations………………….South Africa’s critically needed, state-of-the-art Medupi coal-fired power plant, which the Center for American Progress, Friends of the Earth, Sierra Club and other radical groups stridently opposed. Imagine in your home town if you had electricity but your 3 friends had not access to electricity. Imagine the same for the USA? Here are the shocking figures [no pun intended]. Low access and insufficient capacity – Some 24 percent of the population of sub-Saharan Africa has access to electricity versus 40 percent in other low income countries. Excluding South Africa, the entire installed generation capacity of sub-Saharan Africa is only 28 Gigawatts, equivalent to that of Argentina. I want to hear from some of our regular green alarmist friends what they have to say about this scandal and what they propose as a viable solution. Solar? Wind? It’s smoke and mirrors with lots of hot air. Grrrrrr. There’s also an interesting effect I’ve noticed that I can’t classify. Those that preach about Global Warming and that we must do something about it can also live very wastefully, drive an SUV, live in a large house, don’t donate to charities, and screw their neighbors every chance I get yet they would be seen as honorable people who cares about the planet and therefore all of humanity. 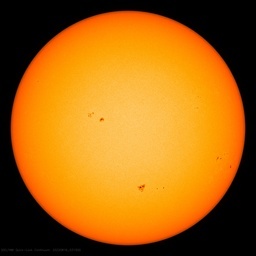 But if a person questions Global Warming on i’s scientific merit, but drive an electric car, live in a small home and heat with wood, give generously to charities, and help every neighbor that they can, they are labelled as a denier, someone who is destroying the planet and doesn’t care about children’s future, and should be despised. Can someone trained in psychology clue me into what this is called? There are actually multiple sites measuring CO2 and even some satellites – so you are looking in the wrong place. Whenever you are given a hypothesis or a paper/report on scientific research, always look for assumptions; they should be listed but they are often glossed over. The prime assumption made by CAGW proponents is that before ‘industrialization’ taken as AD1750 the atmospheric CO2 levels were low ~250ppm and the current levels of CO2 are ‘unprecedented’. This is based on cherry picked metrics. The low levels of CO2 claimed to be ‘normal’ or ‘before the industrial age’ are based on bubbles in ice cores where the chemistry and diffusion of CO2 under pressure in ice for hundreds or thousands of years has been ignored as has the possibility of bubbles forming by gassing off as the cores were brought up to atmospheric pressure. There was also quite a lot of ‘Mike’s Nature Trick’ type playing with the dates of the cores to get the CO2 levels from the cores to match with the measured CO2 levels (one report was 75 years slip had to be ‘found’). But there were many measurements of atmospheric CO2 before the ice cores. The levels can be found from plant remains by the density and size of stomata in their leaves and in the 19th and early 20th century many scientists including Nobel laureate chemists among others measured atmospheric CO2 using chemical means. These scientists had results showing concentrations that were not dissimilar to the current levels. A German scientist Ernst George Beck collated these CO2 metrics (and that is all he did – collate other scientists metrics) and pointed out that the fundamental claim of ‘unprecedented CO2 levels’ since AD1750 appeared to be flawed. Thus the basis of the CAGW hypootheses was fatally flawed. For this Beck was excoriated by ‘the team’ to a level that even now truly scientific skeptics avoid using any references that include his name. This was totally unfair as it was not his research he was publishing but a collation of previous research. The CAGW community would love to debate Mauna Loa as it obfuscates a major and fundamental flawed assumption in their CAGW hypothesis. @ David L; It’s a relatively new disease or syndrome known as Algoreiousupusrectumus Disease, or AD for short. I don’t think Obamacare covers it yet. Great article, Paul. The thing that keeps me optimistic is knowing that although the alarmists are still raking in the cash, they are losing on-the-ground support hand over fist. We know this, or they wouldn’t have to fudge their viewing numbers, send out their bots or have their trolls come in, each pretending to be more than one person. More and more ordinary citizens are waking up to the sham every day, so it’s only a matter of time. Frankly, I’m waiting for the masses to rise up. It will be ugly, but I fear necessary. I hope I’m wrong, but I cannot see any other way to get those mitts out of the cookie jar. These people are not going to willingly pull back. Okay, I’m not trained in psychology, but I know what I call this: modern leftism. It’s the same thing that is going on when someone is all about “racial equality” but considers people of other colors to be suitable only for servants and menial labor. In a similar vein, it’s an entire political movement that somehow believes that Condoleeza Rice and Colin Powell weren’t actually black when they were associated with the Republican party. I could list a lot more examples, and I’m sure you could too. In the old days it was called hypocrisy, but that word has now been judged by the “politically correct” crowd to only apply to some vague stereotype involving religious types and the people who actually do the work that runs the planet. For those few who actually care, yes, this is what leftism has become. Maybe you lean politically left but aren’t like this… but this is what is waiting at the bottom of that long slide. and UAH if similarly smoothed only show lack of warming for 11-12 years. The US East Coast where the huge concentration of media and political power give the region outsized influence is indeed drowning. It’s been gradually drowning since the Great Melt and this is exacerbated by the tectonic subsidence there. People who live there assume all coasts are experiencing something similar. The Green Mafia take full advantage of it. Over the past three years, the Tides Foundation and Tides Center alone poured $335 million into environmentalist climate campaigns, and $1 billion into green lobbies at large, notes Undue Influence author Ron Arnold. Does it do similar funding programs as the following:? I think we need a financial flow chart to show how the hundreds of millions are flowing into green eco-fascist propaganda. I’m sure Heartland’s large $6.5 million will feature prominently. In today’s world there are at least 2 groups who know what’s going on in this global financial scam. The global warming sceptics and the establishment of climate scientist whores, bankers, oil companies, governments, hypocritical ‘greens’ and Hollywood ‘stars’. There is a third group, they are known as the ordinary members of the public – worldwide. They are being screwed for all its worth. I *do* wish ppl would even just lightly research a subject before commenting, well, blindly … truly, this exemplifies “low information” posting. a) Who turned around the 2002 Winter Olympics? b) Who married “into money”? A friend of mine who works for a bordering village of Chicago told me he had a co-worker tell him he voted 3 times for Obama. Now let’s talk about what’s been emerging from Ohio: double votes, triple, gosh, even sextuple votes. Some people will believe anything anyone tells them, as long as it suits their preconceived notions. That could be true, without being illegal or wrong . . . . over a long period of time. Once in the primaries, once in 2008 presidential election and once in the 2012 election . . . .!!! just sayin’ . . . . Had him & you goin’ . . . . there, huh? re Ian W’s remarks on Ernst Beck’s work, I concur. However, I was proposing a rigorous scientific investigation of the CO2 measurement and data-reduction process. I know that these kinds of systems contain many potential sources of error, and so they can be analysed via the scientific method of looking for ‘falsifications’. i.e. looking for errors in subsystems that would be needed in order to produce the same result, and checking to see whether these sources of error are properly compensated for in the system as a whole. For example, the battery of tests could include the effects of non-linearity in the ADC process; dimming of the lightsource, corrosion in the gas vessels, variation in the constituents of the reference gases, the effect of the accumulation of concrete at the site(s), the effect of increasing transport patterns, the local heating of the ocean, and so on. So, can anyone point to such studies into this most important subject?